Update: Here are some pictures from #SfN2017! Find tweets on our booth at #Booth3328. Meet the Booth Crew who will be representing our Consortium of organizations at #sfn17! Carrie Gibson is the Communications and Administrative Manager for Americans for Medical Progress (AMP), a non-profit organization dedicated to supporting the research community. 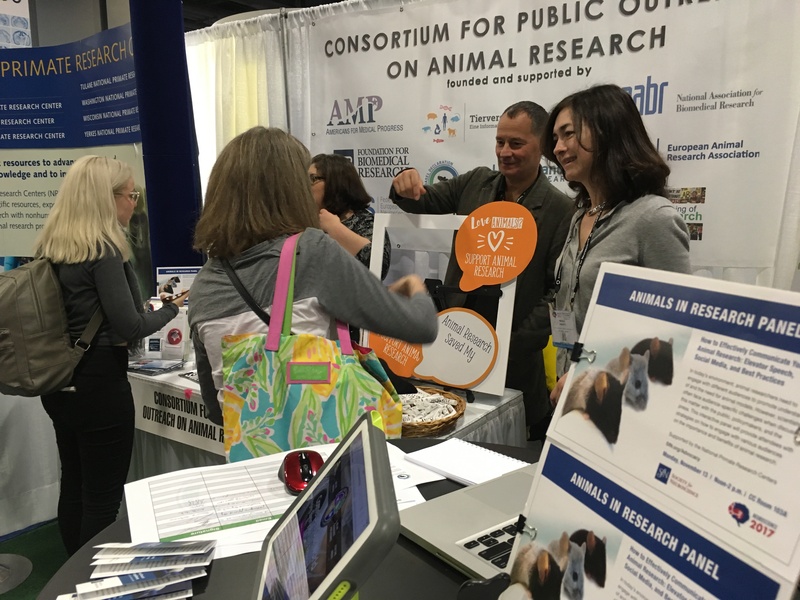 The US-based group focuses on public outreach that builds understanding and appreciation for necessary and humane animal research. Carrie will be at the booth Sunday, November 12th, 9 a.m. – 5 p.m. as well as Wednesday, November 15th. Paula Clifford is the executive director for Americans for Medical Progress (AMP), a non-profit organization dedicated to supporting the research community. 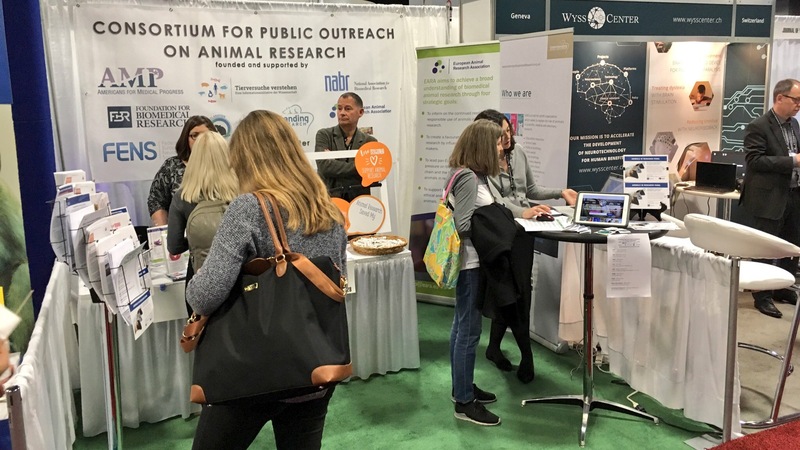 The US-based group focuses on public outreach that builds understanding and appreciation for necessary and humane animal research. Paula will be speaking at the SfN Animals in Research Panel on Monday, November 13, from 12-2pm. 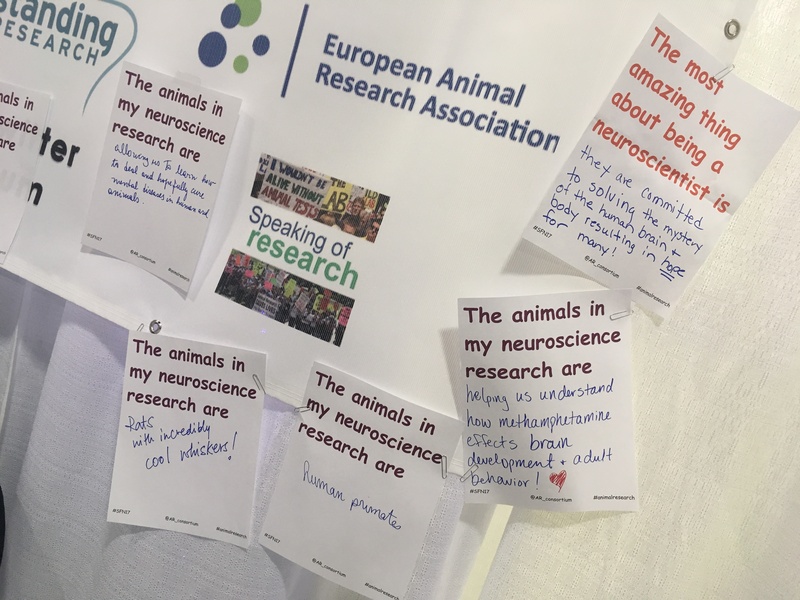 Paula will be at the booth on Monday, 13th November, 9am-5pm, except when she will be in the SfN Animals in Research Panel. Paula will also be at the booth Tuesday, November, 14h 9 a.m. – 5 p.m.
David Jentsch is a Professor of Psychology at Binghamton University. His studies focus on behavioral neuroscience and influences on addiction. 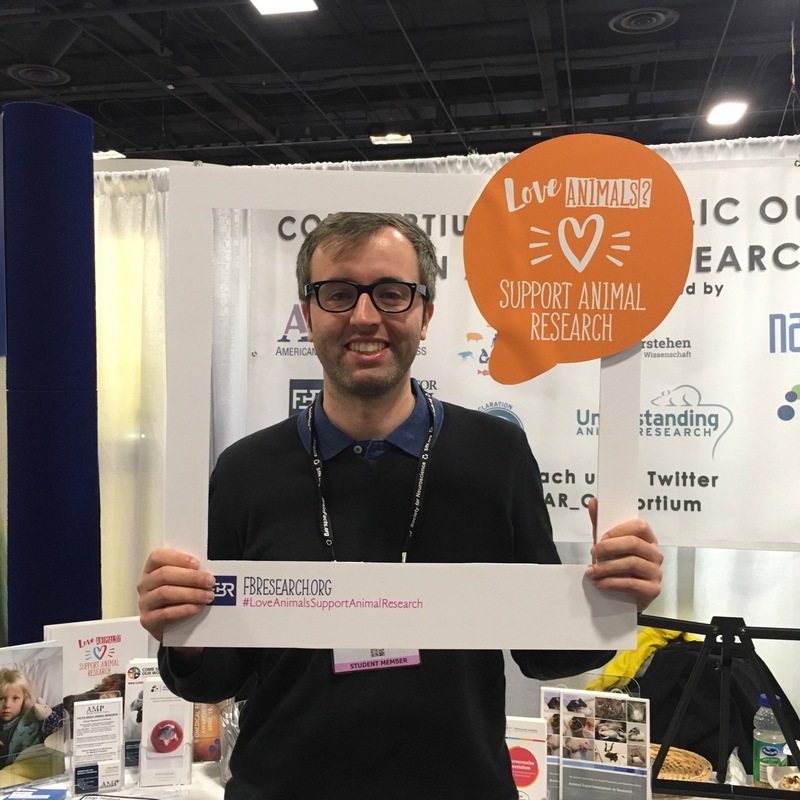 He is also a Committee Member of Speaking of Research (SR), and is an avid activist for animal research with a lively twitter account and website. 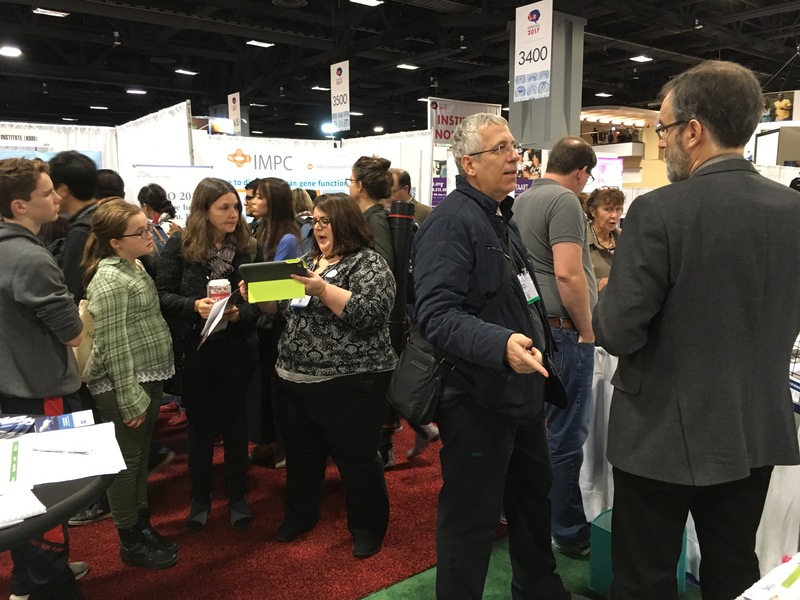 David will be at the booth on Sunday, November 12th, 10-12 p.m.
Amanda Dettmer is a primatologist and behavioural neuroscientist, and is currently a AAAS Science & Technology Policy Fellow hosted by the American Psychological Association. She is a Senior Editor at the international advocacy group Speaking of Research, which provides accurate information about the importance of animal research in medical and veterinary science. 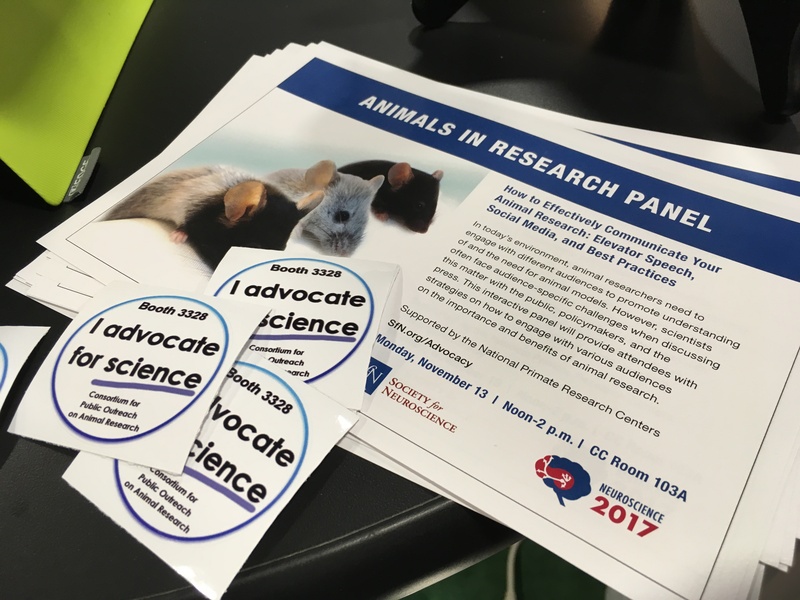 Amanda is a member of SfN’s Committee on Animals in Research, and will be speaking at the SfN Animals in Research Panel on Monday, November 13, from 12-2pm. 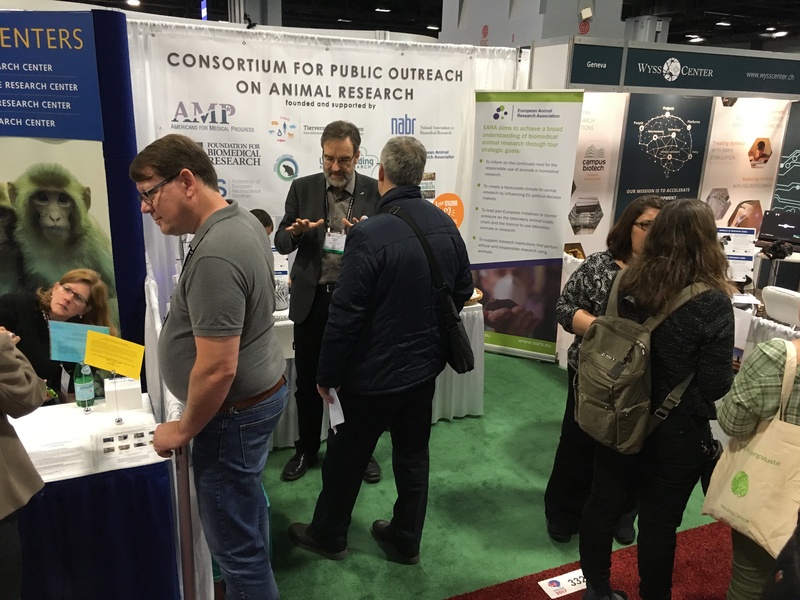 Amanda will be at the booth on Monday, 12th November, 10:30 – 11:30 a.m.
Kirk Leech is the director of the animal research advocacy group, European Animal Research Association (EARA). 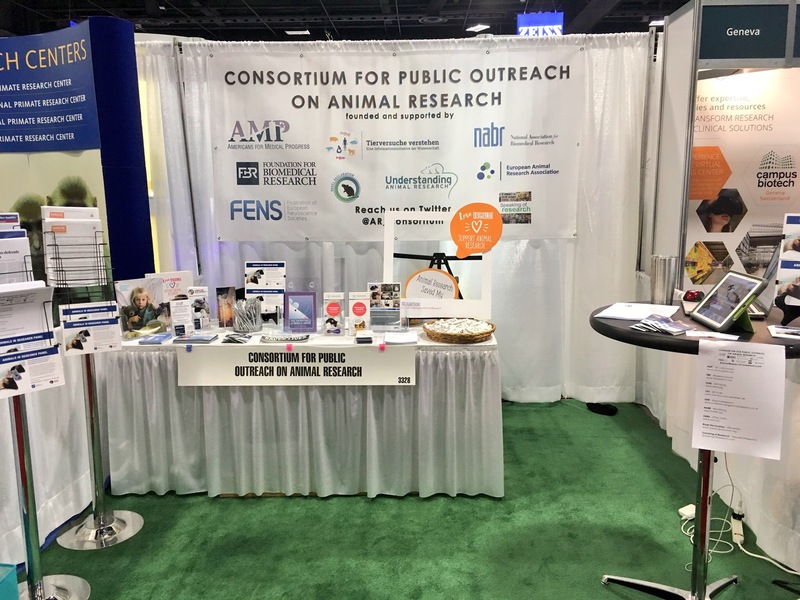 The group is an organization that communicates and advocates biomedical research using animals by providing accurate and evidence-based information. Kirk is also a Committee Member of Speaking of Research (SR). 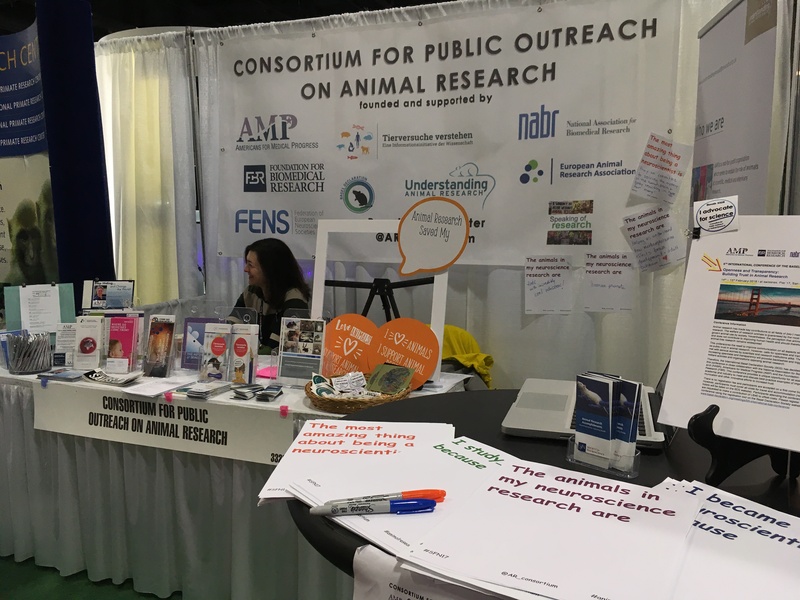 Kirk will be at the booth on Sunday, November 12th, 10-12 p.m., 2-3 p.m. and Monday, November 13th, 11-12 p.m.
Wendy Jarrett is the Chief Executive of the non-profit organization Understanding Animal Research (UAR). 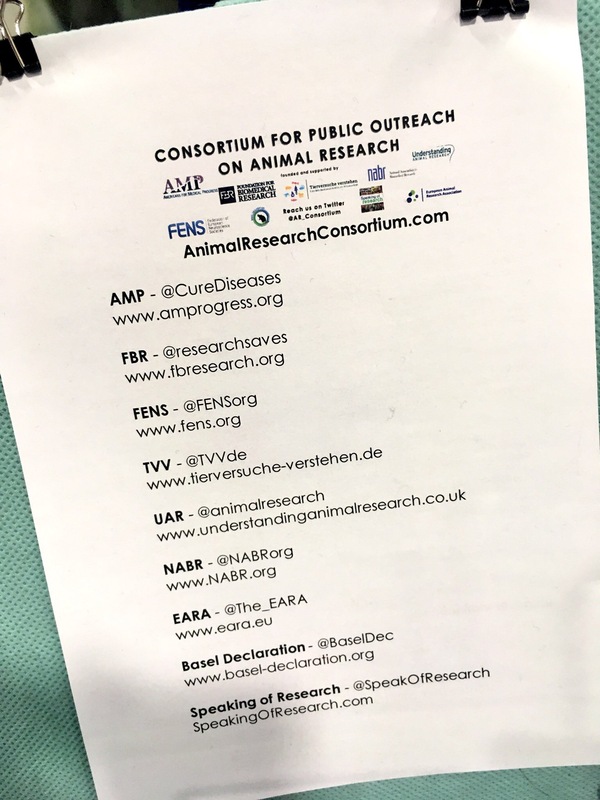 The UK-based organization helps the public to understand why and how animals are used in research and provides a large variety of resources and information on the topic. Wendy will be at the booth Sunday, 12th November, 12-14 p.m., Monday, 13th November, 8-10 a.m. and 15-17 p.m. and Tuesday 8-10 a.m.
Crister Delacruz is the Director of Communications and Public Relations for the Foundation for Biomedical Research (FBR), a non-profit organization. The US-based organization promotes the public understanding and support for biomedical research. It highlights the essential role of animal testing in research in improving health and defeating illnesses. Crister will be at the booth on Tuesday, November 14th, 12-4 p.m.
Molly Pfaffenroth is a representative of the non-profit organization National Association for Biomedical Research (NABR). The US-based organization is dedicated to advocate public policies that recognize the vital role of animals in biomedical research. 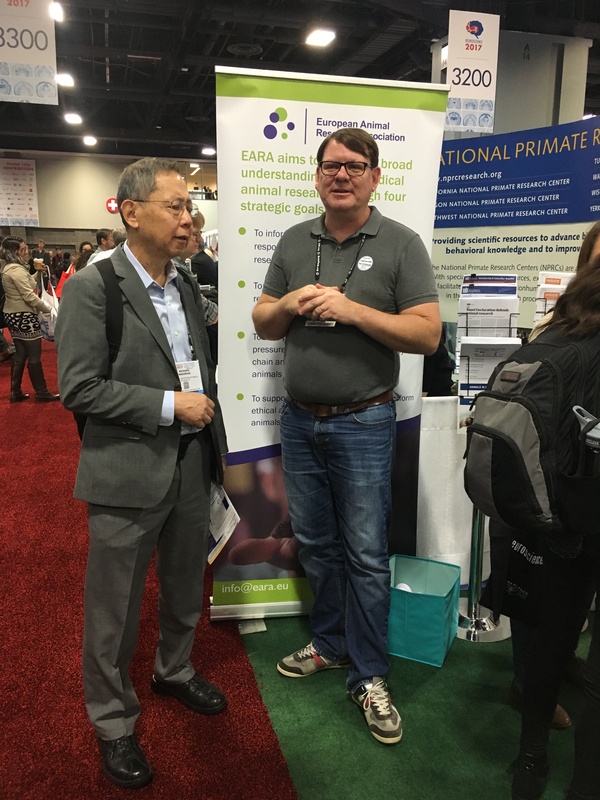 Molly will be at the booth on Tuesday, 14th November, 12-4 p.m.
Stefan Treue is a Professor for Cognitive Neuroscience at the German Primate Center. He studies the processing of visual information and the influence of attention. He is also a vocal advocate for animal research and representative of the Germany-based advocacy group Tierversuche Verstehen, which communicates animal research to the public. Stefan will be at the booth Wednesday, November 15th, 11-12 p.m.
Valeska Stephan is a neuroscientist at the German Primate Center. Her work focuses on topics of laboratory animal research and animal welfare science. She teaches both subjects to students, scientists and other personnel working with primates and is interested communicating science and animal research to the public. Valeska will be at the booth Sunday through Wednesday. Mar Sanchez is a neuroscientist at Yerkes National Primate Research Center at Emory University, and is Chair of the SfN Committee on Animals in Research. Her work focuses on the influence of social stress and maternal care on brain development. 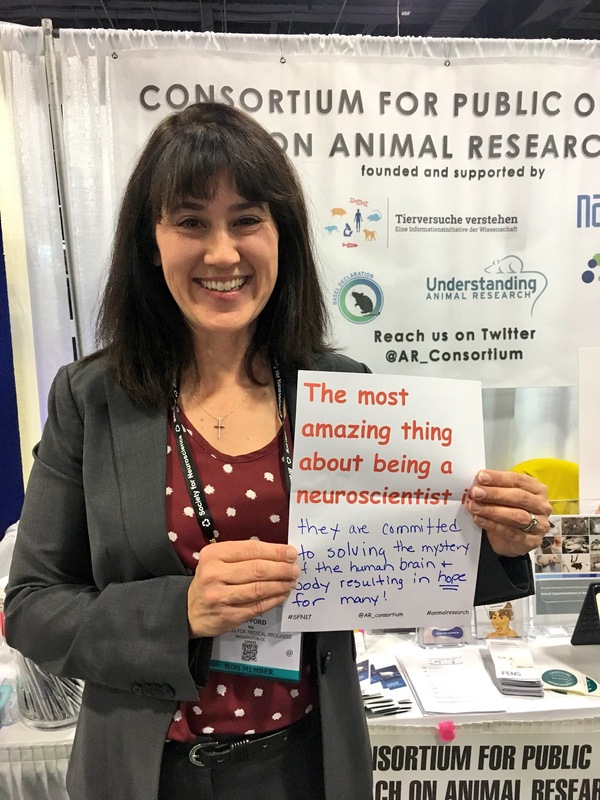 She will be moderating the SfN Animals in Research Panel on Monday, November 13th from 12-2pm. Mar will be at the booth on Wednesday, November 15th, 12-1 p.m.